While DigiTimes has a notoriously poor track record at predicting Apple's specific plans or features, it is a good source of data on the manufacturing business. While Compal may be expecting this business, it remains uncertain if it is expecting it for a reason, or if it is hearing other reports, and predicting that Apple will tap it for manufacturing of a device. Little has been speculated about the new iPad mini, beyond Apple Pencil and Smart Keyboard support. It is expected to be a new low-priced model compared to the more recent release. If launched, it would be the first update to the product line in over three years. 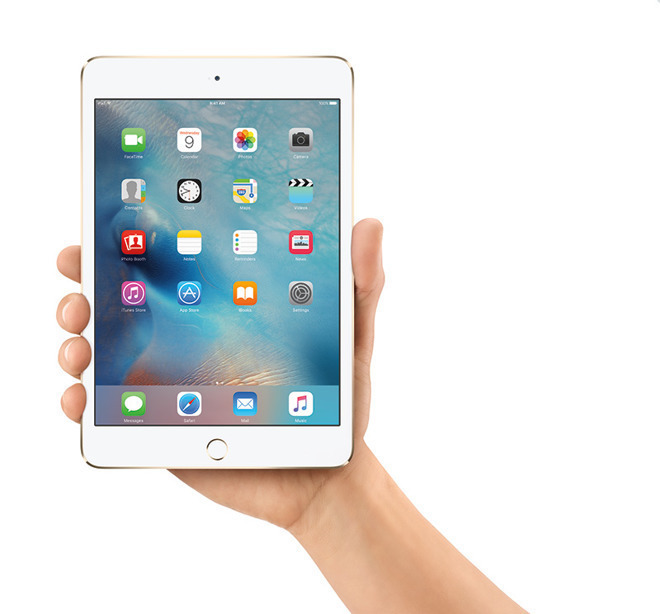 Reasonably priced iPad Mini has important place in iPad product line. It has good form factor and usability. Next important one is 11" iPad. Hopefully a good update and decently priced. I love my Mini 2 but had to get a 9.7" Pro as it's processor is dated. Love the smaller form factor for travel, reading etc. The Mini 2 still serves all my needs but it would be nice to see the line continue (with a decent upgrade) for when mine gives up the ghost. I'm not into this but I have 2 friends who have wanted this for ages. Apple needs to disrupt more product categories! I like and use my original iPad mini. I'll buy a new one depending on the price. I have a long list of things that require upgrades/replacements, but as Tim pointed out a few days ago, people like me don't need upgrades as often, because the originals still function well. Hey, at this point i will take any update to replace my 5 1/2 yr old ipad mini 2! But if i had my wish? I’d love the next ipad mini to have the same flat edged industrial design of the new ipad pros with slimmer bezels, face ID, usb-c and apple pencil 2 support. Maybe even increase the 7.9” screen size to 8.5” but keep the same physical size as the previous ipad minis. Either that or keep the 7.9” screen but make the device smaller with the slimmer bezels. Either way, that would be one sweet update! Was at Apple Store (yes, I still use the term Angela & Tim) Saddle Creek yesterday and all the staff were using iPad minis. I was teasing the staffers that they were using Apple's oldest and most outdated HW. Go ahead, Tim. Prove me wrong. I dare ya. I double-dog dare ya!